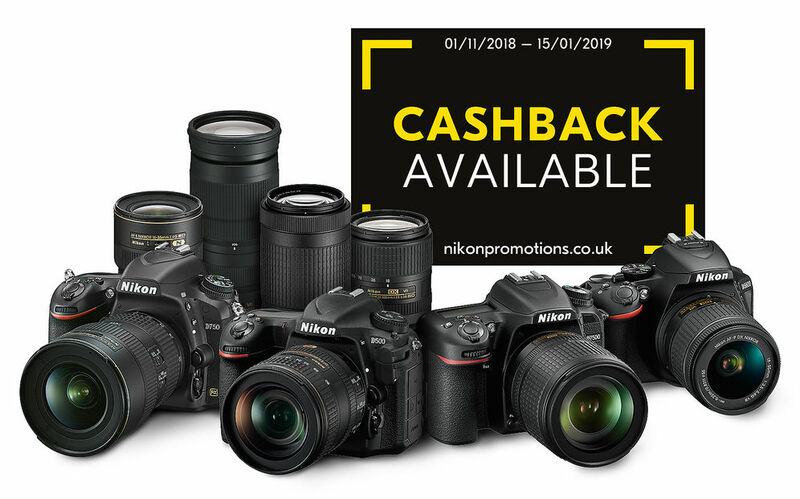 London, UK, November 2018: Nikon UK has today launched its Winter Cashback promotion, offering up to £275/€300 on selected Nikon cameras and NIKKOR lenses in time for the festive period. The promotion runs from 1st November 2018 until 15th January 2019 and all claims must be received by the 15th February 2019 (inclusive) in order to qualify. "With the changing seasons, now is the perfect time for photography enthusiasts and pros alike to invest in reliable gear, ready to capture all the photo opportunities this time of year presents. From winter landscapes to lowlight festive shots, our winter cashback promotion features D-SLR and lenses for every shooting scenario." He adds: "With up to £275 cashback available, It is also a great time for photographers to review and update their kit bags for the year ahead - preparing for new challenges and assignments in 2019".